At this month's First Friday Street Faire. Friday, June 3. 5–9:30 p.m. Free. In the past couple years, Xavier Dphrepaulezz of Fantastic Negrito has soared into the musical spotlight. Largely because the band won NPR’s Tiny Desk Concert contest in which thousands of musicians submitted videos to vie for a chance to perform in the legendary cubicle. But, the singer who was for years known to First Friday-goers as Oakland’s best busker, is sticking to his roots. 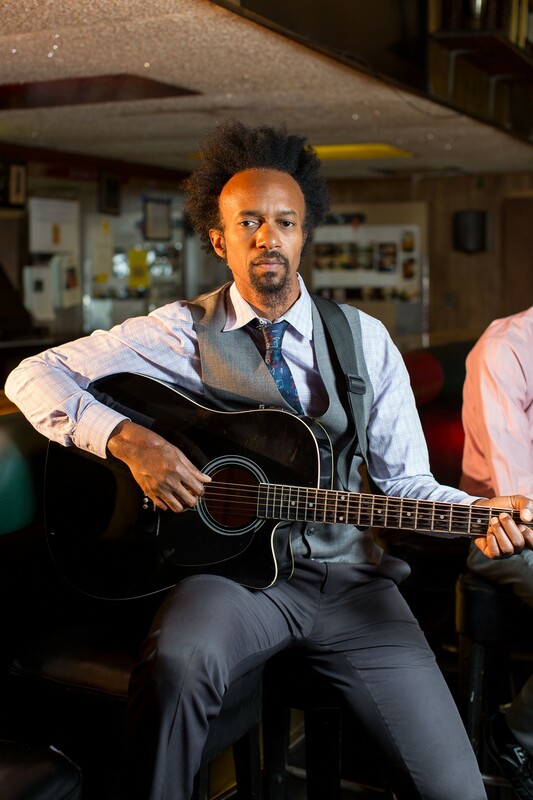 To celebrate the release of their new album, The Last Days of Oakland, Fantastic Negrito has organized a free performance that will take place at the intersection of Telegraph and West Grand Avenues during June’s First Friday Street Fair (June 3). The stage will be hosted by Snap Judgement’s Glynn Washington and will also feature performances by singer Zakiya Harris and spoken word presented by Nomadic Press showcasing Oakland’s Youth Poet Laureates. In addition, there will be an interactive art installation curated by 1AM gallery. And, of course, Fantastic Negrito will perform a full set starting at 8 p.m. The free, community gathering is intended to be a celebration, but also a collective conversation about the ways that Oakland is changing and how to preserve the best parts of its culture.